Looking for the ways to train your Dalmatian at the professional level? Get this Dog Bite Developer and feel as if you are an experienced PRO! 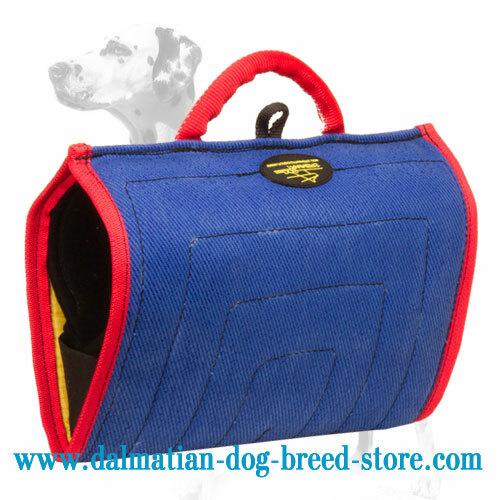 The preseted supply is intended for training Dalmatians of different age and training level. It is comfy to hold for the trainer or helper due to 2 padded handles. Also, there's a small loop on the top for leash attachent that is a great opportunity to make training sessions varied and exiting for your dog. Wanna know more benefits? Welcome to read below! 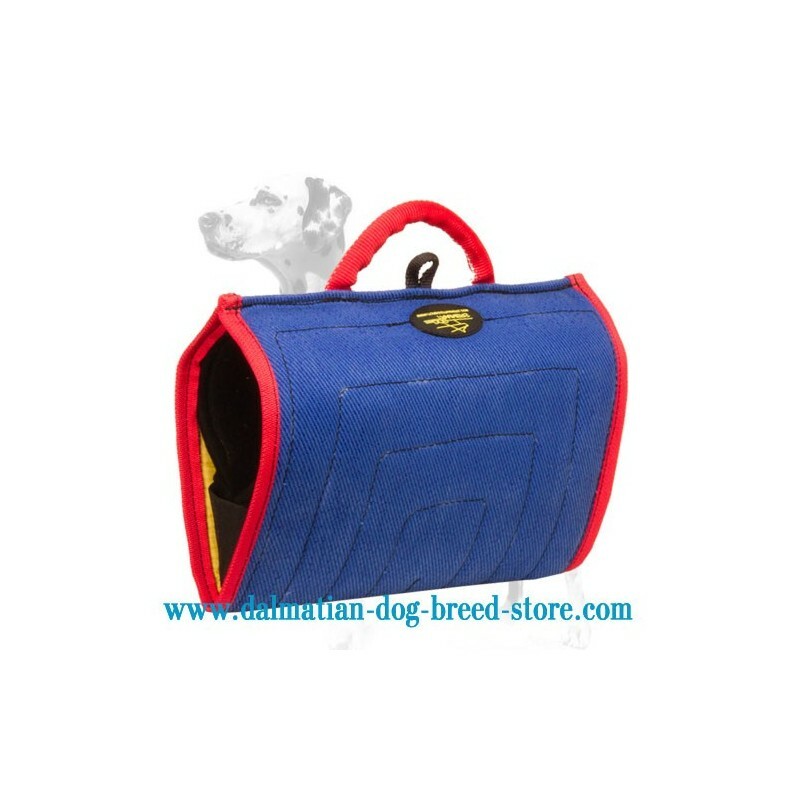 You will be satisfied with the quality of this great dog supply from the very first moment you hold it in your hands. Sturdy basis with extra strong French linen cover that is resistant to tear and wear and can serve for a long period of time. Note, this French linen cover is replacable, so when this one gets torn you can change it into a new one: save you money - no need to buy a new tool! The Bite Builder is padded inside for a helper's extra convenience. Also, it is stitched all the way through to make it really long-servicing. You can use this supply as a bite sleeve as well due to the ergonomic, well-tought design. This in turn extends the scope of its usage. 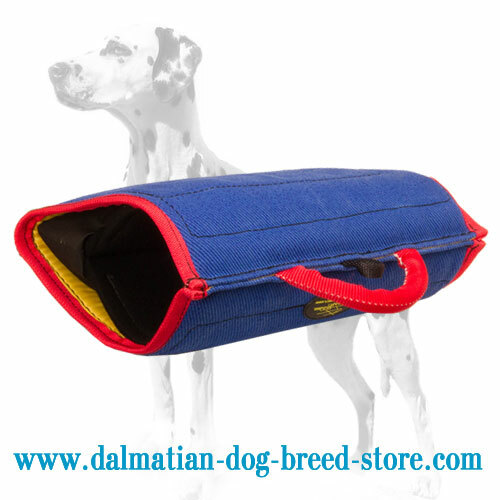 Training sessions become so convenient and so exciting with this Excellent Bite Developer for Dalmatians.